Your website is the product personality, which you offer to your customers. Your product or service will be attractive as much as your choice of design is successful and website content is qualitative. Qualitative and deliberate content is one of the key tools in your site (project) promotion. It compiles both ad methods to promote as many visitors (potential clients) as possible and SEO regulations. Taking into account the difference between site’s assessment criterions by web crawlers and users it is important to create content without breaking this balance. Project Support team has been creating content since 2013. Tens of successful projects have made use of our help and achieved desired result. - social media marketing (complex creation and support of official pages and company’s groups in Facebook, Twitter, Google+). At any moment,Project Support team is ready to take your order for creation of any type of content. In the shortest possible time, we will create high-quality content, which makes your web site attractive for visitors and facilitates making decision to start cooperation with us. A catchy, bright and appealing video will attract audience attention immediately. You can learn about this service due to such presentation. It is important to provide as much information as possible within a short term. It can be shown in just over a minute that costs one hour for a teller. It is such video production that Content and Support Team deals with. We will produce a quality clip, which tells you clearly about your company or project’s propositions, what benefit can be got from cooperation with you. Experience shows that it is enough to learn about proposed business and make a decision. - shooting of any level on various locations: office, street, city, nature, specific places (saloons, shops, warehouses, educational establishments, etc.). 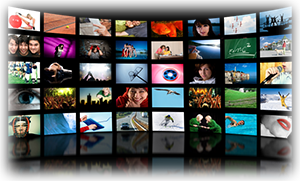 Project Support team offers only high-quality videos of 720p resolution and higher. Our list of services includes creation and YouTube channel appearance, periodic adding of presentations, video manuals or clients’ feedbacks to it. You can study our works in Portfolio section or check out our YouTube channel.